We're a very friendly club where club nights are a good laugh and there is a real team spirit when it comes to matches. We have a great mix of abilities ranging from lower league standard right up to county players and even an All England over 35s winner! We are always looking for new members, especially if you have played league or county before. It's lots of fun, you can meet new friends and enjoy the social side of the club too! We have many teams to play in so you can enjoy the thrill and challenge of competitive badminton league matches. We have won many trophies and hope to win more, continuing a 40 year old tradition. Check out some of our achievements over the years. Jump smash your way to glory and get fit at the same time. Badminton is a great sport for all-round fitness, hand-eye coordination and tactical thinking. What are you waiting for?! Practice makes perfect as they say....so come down to our club and start practicing! We have a qualified coach as well as many experienced players who can give you tips to improve your game. Some of the best games of badminton are the fun/casual ones played at club nights where we play our teammates and test their skills! Bragging rights in the pub is at stake! Why not come down to our summer club for some fun games! 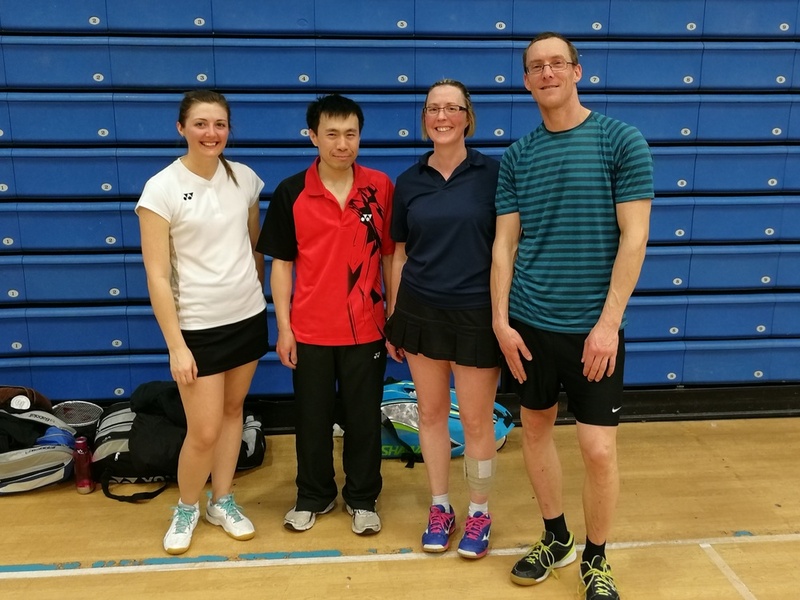 We are a feathers-only badminton club based in Balsall Common who have multiple teams in the local Coventry, Leamington & Solihull leagues, playing mixed doubles, mens doubles and ladies doubles. Our venue is Heart Of England School Sports Hall where we have 4 courts available. Our club and match nights are Wednesdays & Fridays 7-10pm. The club has been running over 40 years and we have about 25 members who range from lower league standard right up to county/national standard, which makes for some great competitive games in a fun friendly atmosphere. We're always after new members to join our club, whether it's to play socially on club nights, play competitive league matches in a team or a bit of both. If you are looking for a new club, please read our how to join page, send us your details and arrange with our new members secretary to come down to one of our club nights where you can have a free 1st session. Hopefully you'll get to meet most of our club members, make some new friends, have some good games and lots of fun Ideally, players should have played badminton at league or county level before but even if you are decent standard social/casual player, then our club might be a good fit for your talents and we look forward to meeting you. Fancy some games over summer? 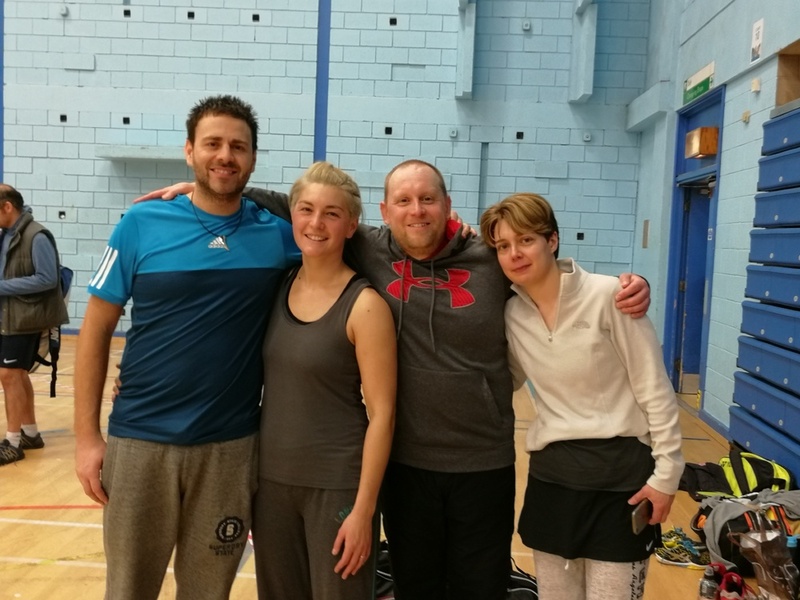 Outside of the normal badminton season (mid-September to mid-April), we run a summer club to give players a chance to play together when there are no usual matches or club nights. We welcome anyone to come - it doesn't matter if you play for another club - the more the merrier! We just want to make use of our available courts, play with different people and avoid becoming too rusty! 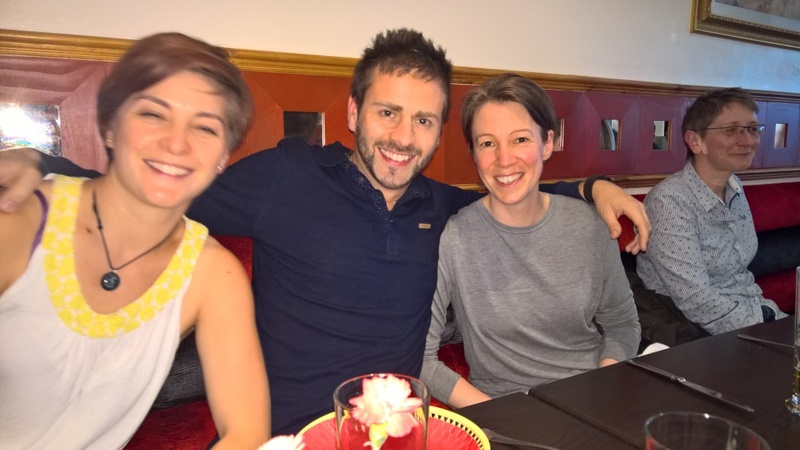 Silver Innovation are a local company based in Solihull & Warwick who design and develop websites & applications. The Silver team (including Steve Best who plays at the club) have donated the website design & development as sponsorship to promote the club and the sport. 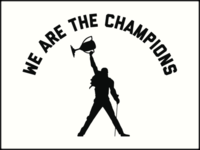 Their logo is also featured on the official BCBC t-shirts. If you are looking for badminton club, league or county website or any website/application please get in touch with the guys at Silver. For over 40 years Status Heating has provided unrivalled excellence in gas central heating installation, service and repair for customers throughout the Central Region. Leigh Skillett, managing director and longtime player at BCBC has chosen to sponsor BCBC for several years in various ways, most recently donating £200 of shuttles to the club to help run another summer club. For more information on the heating, plumbing and electrical services, please visit the Status Heating website. Blue Daisy Garden Design are garden designers for garden design and gardening services in Coventry and Warwickshire, UK and its surrounding areas. Nicki Jackson, owner of BDGD and member of BCBC, kindly offered to donate money towards shuttles to support the club. Hitex (UK) Ltd is a Coventry-based electronic engineering company who for many years has been a leading supplier of innovative and reliable tools for embedded engineers and industrial automation solutions for manufacturing engineers. They also support these products with numerous specialised training courses. In addition, Hitex supports customers on a consulting basis in all phases of their development projects, from concept to system realisation. They work closely with leading semiconductor and compiler manufacturers in order to support all the latest product and software releases, as well as industry standards. One of the key things about joining a badminton club (or attending a match) is how close the venue is to where you live or work. That said, we have members who live some distance away but stay with our club because they love it so much! Looking for a badminton club? Looking to join a Coventry Badminton Club or Leamington Badminton Club look no further than BCBC! We would love to hear from you, if you are interested in joining our club, have a query or just want to contribute to the site. Please go to our Contact Us section and get in touch.